The Great Depression arrived as Los Angeles was booming. Oil was big business. Automobiles had begun to transform the landscape. The movie studios had come to Hollywood. Industry was increasing throughout the Southland. And Los Angeles County was the most productive farming county in the US. At first, the 1929 stock market crash did not have much impact on the average Angeleno. But quickly, unemployment rose. By January 1930, a Los Angeles City Council resolution noted that “the unemployment situation is becoming more and more acute each day” (Leader, 1991, p. 4). The situation grew severe in the months that followed. Of 700,000 jobless people in California in June, 1932, fully half were residents of Los Angeles County (Kerr & Taylor, 1935). Deprivation existed along side over-abundance and waste. Farmers were unable to harvest all of their produce, often because they couldn’t afford labor, and enormous quantities of food were left in the fields as people went hungry. One response of Los Angeles County residents was to organize into “self-help cooperatives”. Unlike marketing cooperatives, self-help cooperatives were based on bartering labor for goods, for example, harvesting farmer’s crops for a share of the harvest. 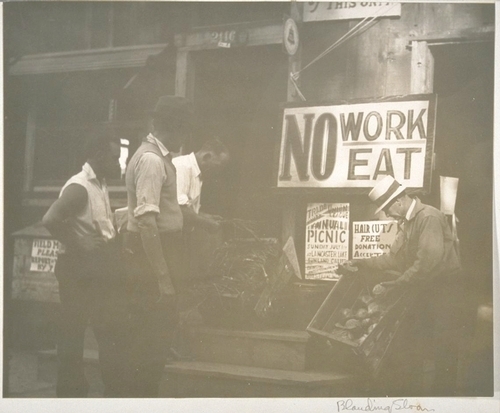 Members were unemployed, often retired people who preferred to work rather than accept public assistance. 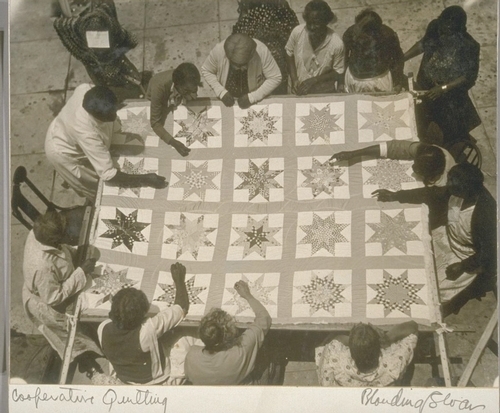 The first such cooperative was organized in Compton in 1932. A year later 45 such cooperatives had been established in LA County. The movement spread to other parts of the US, but was strongest in Southern California, especially Los Angeles County. In 1934, there were 14,000 members of self-help cooperatives in LA County, about 10% of the total US membership (Panunzio, Church, & Wasserman, 1939). Cooperatives usually had elected leaders, and were organized into area “conferences”. Farm work and gardening were common components of the self-help cooperatives, although they encompassed a wide variety of activities, including bakeries, fishing, canning and more. Typically, members worked 16 hours per week in support of their cooperative and its projects. At the cooperative in Santa Monica, members worked at local dairies for milk and cheese. They had an arrangement with the College of Agriculture at UCLA to tend the trees at UCLA's experimental farm in exchange for fruit. 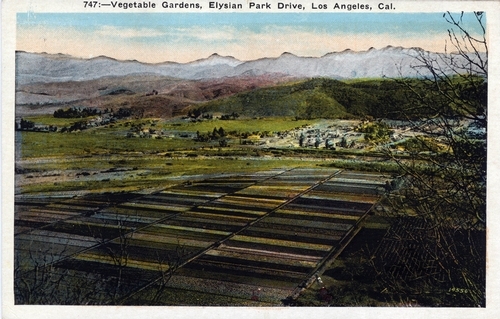 The Huntington Park Cooperative had vegetable gardens on vacant land, harvesting more than 27,000 pounds of fresh produce in just one quarter of 1936. Typically, cooperatives were able to find vacant buildings to use at no charge for meeting places, to store their bartered goods, and to conduct business. Many cooperatives helped local farmers harvest their produce in exchange for a share of the harvest, often the “seconds” that were unmarketable. Japanese farmers were especially receptive to bartering with the cooperatives for labor in exchange for food (Kerr & Taylor, 1935). Through participation in these cooperatives, families were able to secure 60 to 75% of their food budget, and other supplies as well, such as second-hand clothes. The movement’s slogan was “Self-help beats charity: Charity is for abnormal people in normal times; we are normal citizens in abnormal times”. Kerr, C., & Taylor, P. S. (1935). Self-help cooperatives in California Essays in Social Economics (pp. 191-225). Berkely, CA: University of California Press. Leader, L. J. (1991). Los Angeles and the Great Depression. New York: Garland. Panunzio, C. M., Church, W. E., & Wasserman, L. (1939). Self-help coöperatives in Los Angeles. Berkeley, CA: University of California Press. With more than 10 million residents, and a climate conducive to year-round growing, Los Angeles County is a gardener's paradise. 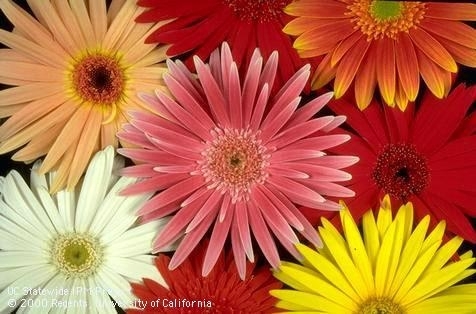 Gardening has always been popular in Los Angeles but recently has become an even greater passion. This trend is evident nationally, with a 19% increase in Americans growing their own food, according to a recent survey conducted by the National Gardening Association. In the current economic situation, gardening is an important strategy to help families improve their food security. However, vegetable gardening can be intimidating for beginners, who need extra support. With the help of our dedicated UC Master Gardener Volunteers and many community partners, UC Cooperative Extension has organized a new initiative to help Los Angeles County residents become successful vegetable gardeners. The Grow LA Victory Garden Initiative will offer a low-cost, four-session class, held at 10 locations around Los Angeles County, where new gardeners will learn the basics of successful vegetable gardening. These "Victory Garden Circles" will provide not only basic lessons, but also a way to stay in touch with fellow gardeners, ask questions, and share produce. 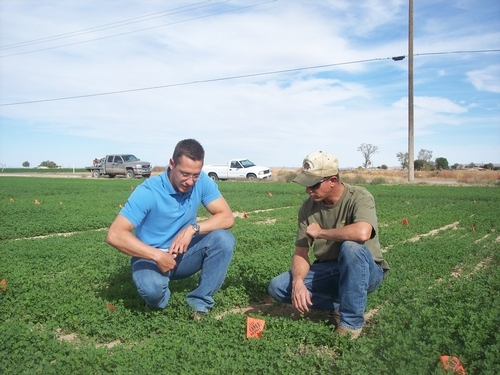 Groups are gearing up to start in late March and early April. Participants who complete all four classes will become UC Certified Victory Gardeners. A google map shows the locations and contact information for each site. We hope to start ten more sites in the fall. Why victory gardens? We've named the initiative for the World War II Victory Garden movement that inspired Americans to grow as much as 40% of the nation's fresh produce. 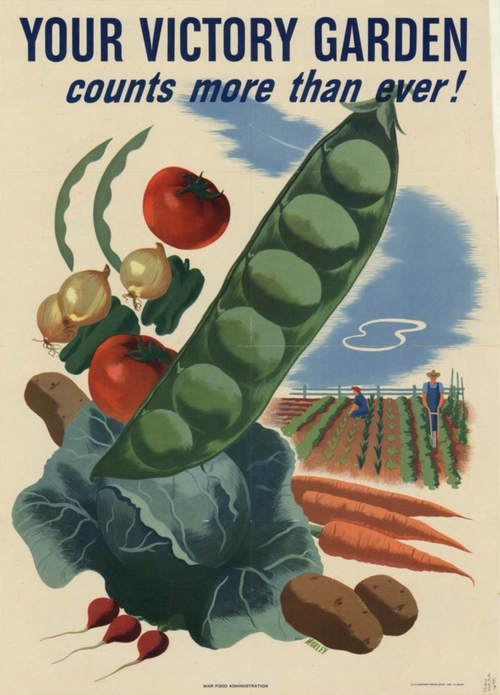 (You can see one of the popular Victory Garden posters of the era, below.) Today, gardens will help us achieve victory over poverty, food insecurity, and lack of fresh, quality food. A new blog will provide victory gardening tips and highlights from our Master Gardener Volunteers and their Victory Garden Circles around Los Angeles. We hope you will visit the Grow LA blog, and our Initiative web page. Get involved and help LA grow!